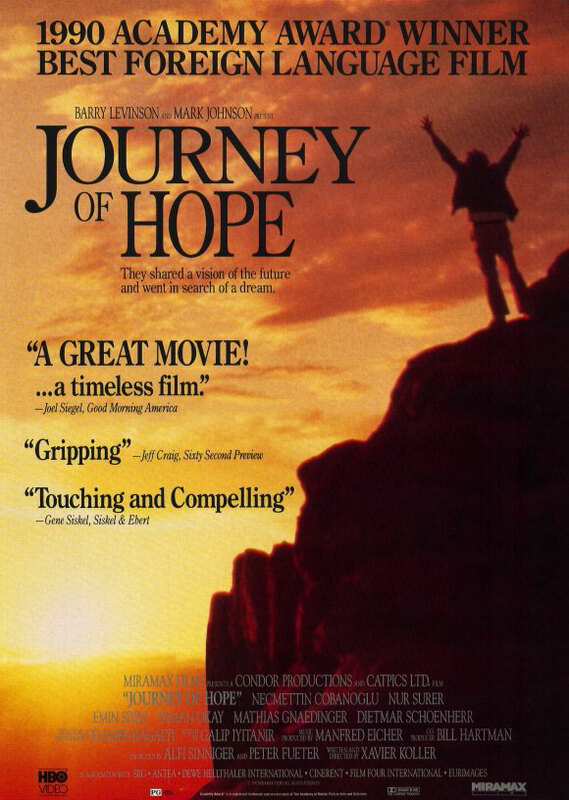 Summary: Journey of Hope is based on a tragic true story. A poor Kurdish farmer living in Turkey hopes to better his condition and find work in “rich Switzerland.” First he must sell the only thing he owns, his dry rocky land and animals, to pay for the necessary papers and passage. And second, he must leave his children behind with his elderly parents until he can earn enough money to send for them. Taking his wife, who will also try to find work, and their youngest son, who is their brightest and most daring child, he embarks on a hazardous journey. However, their journey of hope, turns to be one of despair as they are victimized by unscrupulous people smugglers and left to cross the Swiss Alps on foot alone in the midst of a blinding snowstorm.